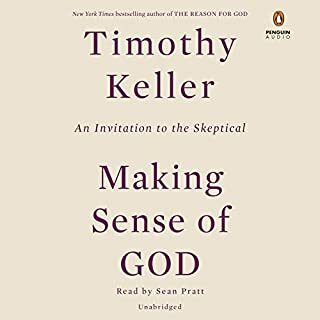 A very in-depth book looking at if it makes sense to believe in God. Arguments are very well thought out and were not easy for me to grasp with the first read. Looking forward to listening to this book again and studying it more thoroughly. One facet it addresses are the many challenges we face as a society if we turn away from God and the value we gain as a society by believing and following. It also looks at the many arguments that are made to explain our species through purely scientific means and how each of these is problematic. The purely scientific arguments that are convincing end up requiring as much faith to believe in (if not more) as a faith in God. Keller then provides the argument for why Christianity answers the questions better and also provides us with the eternal relationship we long for.